Detecting and combating plagiarism from Web-based sources is a concern for administrators and instructors involved in online distance education. In this paper, we quantify copy-and-paste plagiarism among adult learners in an online geography course offered through Penn State's World Campus Geographic Information Systems (GIS) certificate program. We also evaluate the effectiveness of an “expectation management” strategy intended to discourage adult learners from unintentional violations. We found that while manual methods detected plagiarism in only about 3 percent of assignments, Turnitin.com revealed a 13 percent plagiarism rate among the same assignments. Our attempts to increase awareness and manage expectations decreased infractions measurably, but not significantly. In contrast, Turnitin.com substantially improved our ability to detect infractions. We conclude that raising awareness and managing expectations about plagiarism may be worthwhile, but is no substitute for systematic detection and vigilant enforcement, even among adult learners. Jocoy, C. & DiBiase, D. (2006). Plagiarism by Adult Learners Online: A case study in detection and remediation. 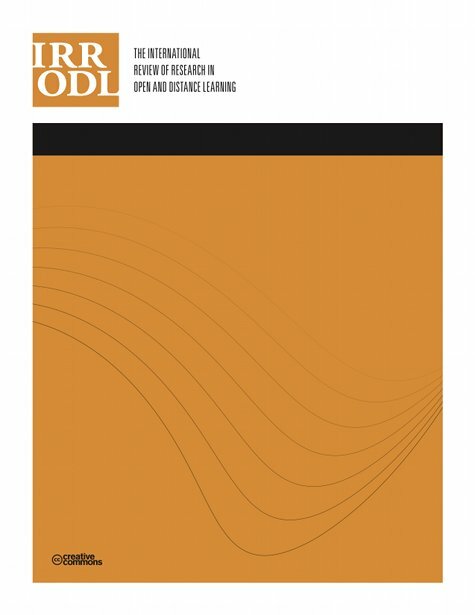 The International Review of Research in Open and Distributed Learning, 7 (1),. Athabasca University Press. Retrieved April 24, 2019 from https://www.learntechlib.org/p/49102/. Ashworth, P., Bannister, P., and Thorne, P. (1997). Guilty in Whose Eyes? University students' perceptions of cheating and plagiarism in academic work and assessment. Studies in Higher Education 22(2), 187 – 203. Braumoeller, B.F., and Gaines, B.J. (2001). Actions do speak louder than words: Deterring plagiarism with the use of plagiarism detection software. Political Science& Politics 34(4), 835 – 839. Brown, B.S. (1995). The Academic Ethics of Graduate Business Students: A survey. Journal of Education for Business 70(3), 151 – 156. Brown, V.J., and Howell, M.E. (2001). The Efficacy of Policy Statements on Plagiarism: Do they change students’ views? Research in Higher Education 42(1), 103 – 118. CAI Research. (2005). Center for Academic Integrity. Retrieved September 6, 2005 from: http://www.academicintegrity.org/cai_research.asp Chickering, A.W., and Gamson, Z.F. (1987). Seven principles for good practice in undergraduate education. AAHE Bulletin 39(7), 3 – 7. Crown, D.F., and Spiller, M.S. (1998). Learning from the Literature on Collegiate Cheating: A review of empirical research. Journal of Business Ethics 17(6), 683 – 700. Dark, M.J., and Winstead, J. (2005). Using educational theory and moral psychology to inform the teaching of ethics in computing. Information Security Curriculum Development Conference ’05 on September 23-24, 2005 at Kennesaw, GA.: Association of Computing Machinery. Ercegovac, Z., and Richardson, J. (2004). Academic Dishonesty, Plagiarism Included, in the Digital Age: A literature review. College& Research Libraries 65(4), 301 – 318. Hickman, J.N. (1998, March 23). Cybercheats: Term-paper shopping online. The New Republic, 14 – 6. Hinman, L.M. (1999, November 15). Download your workload, offload your integrity. Los Angeles Times, 7. Karlins, M., Michaels, C., and Podlogar, S. (1988). An empirical investigation of actual cheating in a large sample of undergraduates. Research in Higher Education 29(4), 359 – 364. Kohlberg. L., and Hersh, R.H. (1977). Moral Development: A review of the theory. Theory Into Practice 16(2), 53 – 59. Lathrop, A., and Foss, K. (2000). Student Cheating and Plagiarism in the Internet Era: A wakeup call. Englewood, CO.: Libraries Unlimited. Love, P.G., and Simmons, J. (1998). Factors influencing cheating and plagiarism among graduate students in a college of education. College Student Journal 32(4), 539 – 551. Martin, B. (1994) Plagiarism: A misplaced emphasis. Journal of Information Ethics 3(2), 36 – 47. McCabe, D.L., and Trevino, L.K. (1996). What we know about cheating in college. Change 28(1), 28 – 34. Roberts, P., Anderson, J., and Yanish, P. (1997). Academic Misconduct: Where do we start? ERIC Document No: ED415781. Quinn, M.J. (2006). Ethics for the Information Age. Boston, MA. : Pearson. Saulnier, B. (2005). So tempting. The Penn Stater 92(4), 44 – 49. Scanlon, P.M., and Neumann, D.R. (2002). Internet plagiarism among college students. Journal of College Student Development 43(3), 374 – 385. Underwood, J., and Szabo, A. (2003). Academic offences and e-learning: Individual propensities in cheating. British Journal of Educational Technology 34(4), 467 – 477. Vernon, R., Bigna, S., and Smith, M. (2001). Plagiarism and the Web. Journal of Social Work Education 37(1), 193 – 196. Whitley, B. (1998). Factors Associated with Cheating Among College Students: A review. Research in Higher Education 39(3), 235 – 274. How well do Canadian distance education students understand plagiarism?